Foster a Dog and Save a Life! Fostering a dog can be one of the most rewarding experiences of your life! Why is fostering so important? A dog who has been fostered is much more likely to find a permanent home. By living with a foster family, a dog learns to love and trust again. 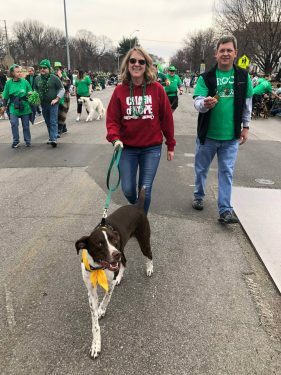 For many Chain of Hope dogs, the foster family is their first experience living with a loving family, having enough food to eat, having a warm safe environment, and all the good things life has to offer. And the adoptive family goes into the adoption having valuable information about the dog beforehand which can help ensure a good fit for the dog and its new family. By fostering a dog, you are also helping by opening up a space at Chain of Hope for another dog that needs rescued. What are the dogs like? Many of the dogs that we rescue are mixed breeds who have lived their entire lives on tow chains, in filthy yards, with little food and water, and no shelter. They range from being terrified of anyone who comes near them to being desperate for attention and everything in between. They are hungry, scared, and sometimes very ill. As they adjust to being freed of their former lives they blossom into their true selves and they never fail to show you how grateful they are for your loving care! They will make you laugh and they will make you cry. They can be scared of the funniest things! They have been deprived of so many normal experiences that they may go into a tail spin over the sound of an alarm clock or jump a foot when you open the refrigerator door. It takes time and patience for many of these beautiful animals to overcome the trauma of their former lives. But it’s one of the most rewarding experiences you will ever know. How much does it cost? Absolutely nothing! We will provide the food, a crate, and medical care, in addition to any other necessary maintenance such as heartworm preventative and flea control. How long will I be fostering a dog? Only as long as you want to. Adoption can take as little as a few weeks and as long as several months. 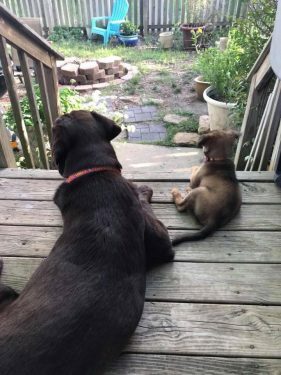 If you are fostering a dog who doesn’t fit well with your family you can always bring them back and we will find another foster family for the dog. If you can only commit to a few days or weeks at a time, that’s fine too. If a dog can experience even a little bit of time away from the shelter environment it helps the dog and gives us more information on how the dog does in a home setting which can help with getting the dog adopted. Do I need any special skills to foster a dog? Not at all! You just need enough time to spend with the dog helping it to learn to trust you and patience to help it through the moments when it may feel afraid, overwhelmed, or stressed by all the new experiences. The dog may need some guidance on what’s acceptable behavior and what is not. If you run into a problem you don’t know how to handle we have many volunteers and staff members who will be happy to help you solve any problems you may encounter. Does family size matter? 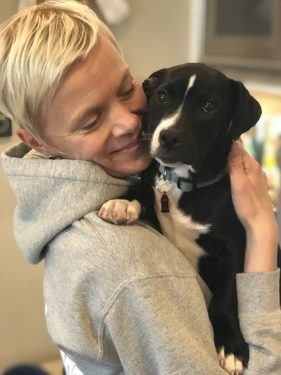 All that matters is that the dog gets the love and attention it needs to become a good candidate for adoption so that it can find its permanent home and never again have to suffer. Okay, I’m in! How do I get started? 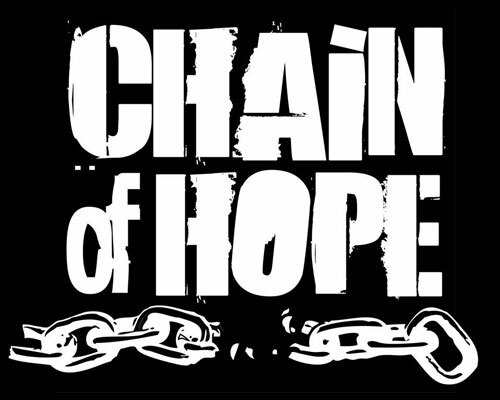 You can fill out an application right here and now or you can visit our website at www.chainofhopekc.org and fill out our online application. Thank you SO much and we will be back in touch with you shortly!